Every action comes up with a reaction as well. 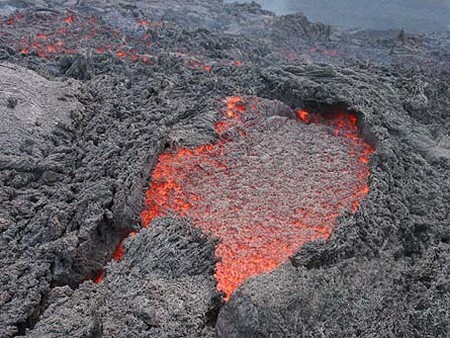 When volcano explodes, it gives places to warm and hot flowing rocks. Thousands of people living in various regions and scientists too think that lava is one of the hottest things of the world. Whether it is true or not, but one really needs adequate information about volcano to know more about this fact. Let us get some useful and sensible facts about this concern in more depth in the subsequent section. What is the origin of Substances? It is clear that most of the part of earth is certainly solid. However, it is not same from all sides and pats but there is some thin part as well. It becomes the reason for melting the rocks inside earth so that they finally come out of it. In this way, different explosions tae place inside the earth and finally they come out from volcanoes. Now, a question arises that how these volcanoes are developed and which reasons let them grow? The answer is very simple. These volcanoes are developed because of disturbance of ground. It would not be wrong to say that usually these volcanoes become in the same way as mountains. However, they are a bit different in sense that they are usually open and thus, they easily find out the way to come out of the surface. When we talk about the deeper parts of the surface, then they are usually made up of hot molted rock. And usually, this rock is said to be as magma. Now, what is the difference between magma and lava? If we go ahead to internal readings and concerns about this fact then it will be clear for us that there is not any difference between these two things. They are same. When magma is inside the earth, it is known as magma. And when it comes out or thrown away by volcano to outside then it becomes or called as lava. Now, if you go deeper into the earth then it lava or magma is hotter there as compare to upper ones. Substances at these points are around 150 km deep. Now, if you talk about temperature at the point then it is around 1,200 degrees Celsius which is more than 2,000 F. another fact about these lavas is that they don’t have same temperatures. Different lavas have different level of hotness. Now, if we talk about the speed or movement of these lavas then you would be surprise to know that lava runs fats even if it is thick. The speed can be even up to 10 kilo per hour or more. And if it is on straight way to go through then its speed may rise up to 60 kilo per hour which is really amazing. Not just the speed but they can cover huge areas as well through their length. It destroys more if it is intensive in its speed and length too.